Community Waves is delivering a programme to establish Diabetes Support Groups across the borough. Do you have diabetes and want support within your community? 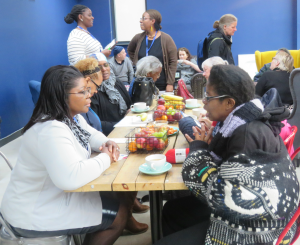 We have set up a diabetes peer support group in each local neighbourhood, in the London Borough of Lewisham. Come along and talk with others who may be experiencing the same issues as you. Our groups look to provide support and offer advice around exercise, nutrition, motivation and mental wellbeing.